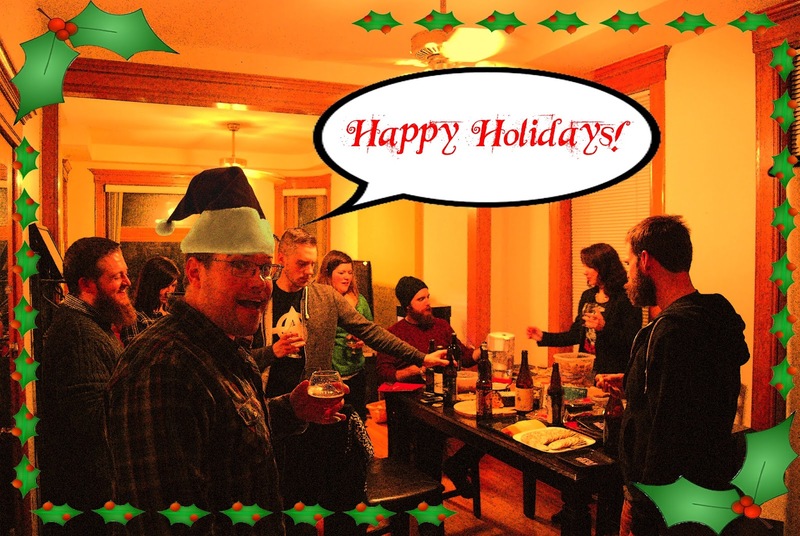 Hail To The Ale: ABV Chicago Holiday Party Episode 100! For the BIG 100th Episode ABV Chicago threw a holiday party, and we were honored to be included. We drink a handful of delightful beers, give our somewhat humble opinions, and catch up on 2015 happenings. Plus some random shenanigans and detours, per usual. Thanks for listening and happy holidays! Guests of honor included us (Kim) (Hail to the Ale), Ken Getty (CHAOS Homebrew Club), Nick Burica (Middle Brow Beer Co.), Chris Betts (Transient Artisan Ales), Marie Cummins (Down the Hatch), Dennis Lee (The Pizzle), MC Johnsen (Worth 1000 Beers) and Matt Johnsen (Horse Thief Hollow and The Beer Cellar). ABV (Another Beer View) is a podcast about beer and life. But mostly about beer. Beaming out from Chicago, IL. You can subscribe to their podcasts on iTunes and follow them on facebook, twitter and instagram at ABVChicago.